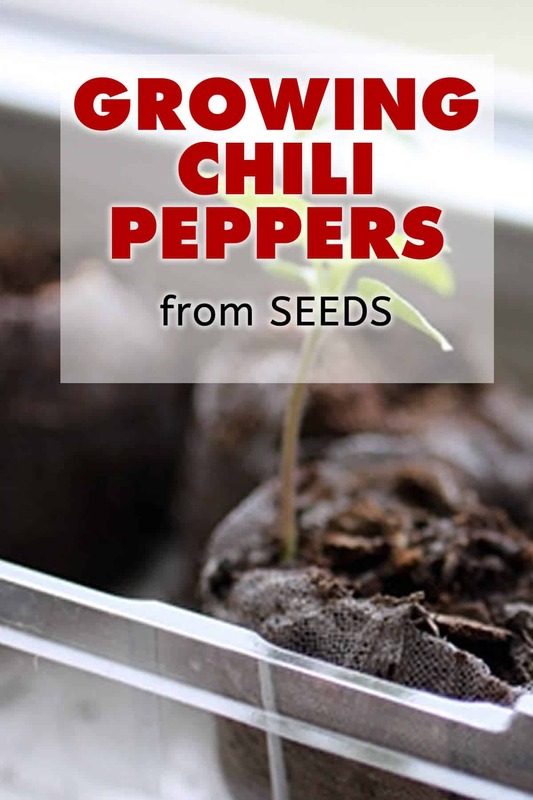 Growing chili peppers from seed is not difficult, but it does take some TLC and patience. Place 2-3 seeds in plugs or a seed tray and top with a tiny amount of compost or seedling soil. Water the soil. Follow the seed packet for optimal planting depth. Keeping the soil moist is crucial until the seeds germinate. Seed trays work great for this because the lids hold in the moisture and watering is typically not needed. Keep the seeds in a dark place with a small amount of filtered light until sprouts appear. Then remove the lid and place them on a south-facing window sill. Regular watering will be necessary now. If more than one seed sprouted, you can carefully separate the seedlings or simply cut the weakest ones at the soil level. Place fresh seedling soil or compost into a slightly larger pot no wider than 3 inches. Move the seedling and it’s soil to the new pot. It may be necessary to do this again to a larger pot depending on your planting time. 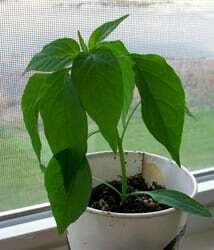 You will know you need to go to a larger pot if it grows too tall and starts to fall over. Each time you pot on be sure the next pot is taller and wider than the previous. Plant the seedling to where the soil is nearly up to the leaves. Stephen, you can buy seedlings for about $3 bucks online + shipping, though larger plants might be a bit more, maybe $5.